Camp is finally here and we are gushing with excitement for all the adventures this summer will bring. From kayaking on Crystal Lake, to performing a play for the first time, to just laughing in the cabin with new friends – there’s so much in store for the summer! 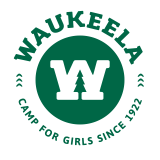 As we welcome in a brand new season of fun, we can’t help but be reminded of all the things that will make Waukeela a truly special experience for every girl. While you’re helping your daughter knock out her packing list, we’re preparing one of our most important camp assets: our wonderful staff! One week before camp we hold a staff orientation where everyone learns about our culture, values, activities, and the overall Waukeela experience. Before orientation, we sort through several applications before picking our qualified staff to join us in the summer. Our staff love the experience so much, that a whopping 75% of them return to work with us the next summer! So what kind of people do we look for? Waukeela staff come from all over the US and world to bring your daughter a truly unique coming of age experience at camp. We look for counselors who love spending time with kids, participating in a lively community, having fun, and going out of their way to help a fellow girl in need. It’s these qualities that help us create a community where each and every girl feels encouraged to be her best self and shine! This is probably the most exciting thing for your daughter. And we can’t blame her. Sailing, swimming, high ropes, archery, drama, art, horseback riding – who can resist getting pumped up for all the summer fun?! With each of these fun activities is a great opportunity for growth. Your daughter will be challenged to face her fears during high ropes, rewarded for working hard in her art class, and encouraged to support her other teammates during tennis. Then, when the sun sets she will join her friends for some quality time hanging out in her cabin. Most importantly, we want your daughter to come home with confidence, incredible memories, and lifelong friendships that will leave her smiling long after you’ve picked her up from her last day at camp. That’s why we strive to build the best culture of sisterhood we can. With the support of her sisterhood, your daughter can do anything she sets her mind to. At Waukeela, every girl matters. When our campers see someone feeling down, they are quick to cheer her up with their favorite song or game. When they compete in sports or camp competitions, each game is ended with a congratulations from both teams for all their hard work. These meaningful connection not only help build your daughter’s confidence, they also help her gain important social skills that will benefit her in school and her future career. Now that we’ve shared what we’re excited about for the summer, we happily welcome all of our new and returning sisters to Waukeela! Here’s to making some wonderful camp memories!